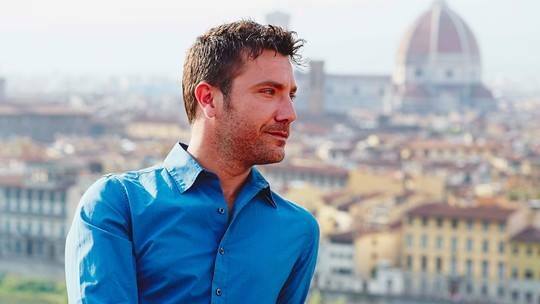 He’s known for cooking up Italian feasts, but Gino D’Acampo insists food isn’t the way to a lady’s heart…. You’re back with a second series of Gino’s Italian Escape in September. Why do you think series one was so successful? If you do a show in Italy, with an Italian, and show the viewers how beautiful the country is – how can it not be successful? I’ve been saying to ITV for the past 10 years: ‘Don’t you think we should go to Italy?’ And then finally I got them drunk and they confirmed it would happen [Laughs]. Last time you went ‘home’ to southern Italy, but this series is set in the north. How does it differ? This time was easier. I felt more pressure in the first series. When you grow up somewhere, you want to make sure you’ve done the best job you can, because you want it to shine. Plus, I discovered much more on this trip, as I’m not from there. You were away filming for a whole month. Did you miss your children? It was hard, but the first week went very fast. And, for anyone who has three children, it’s quite enjoyable as well because everyone gets a little break! But then, after a week or so, I really missed all three of them. You’ve got a lot of female fans. Do men ask you how to woo the ladies? I often get asked: ‘What would you cook for a romantic first date?’ But if I’m sitting opposite the lady I like, I want fried egg on toast and then, let’s go to the bedroom. We’re both thinking the same, so why waste time? We imagine you get lots of marriage proposals and women offering to have your babies… I do. I put them in a folder and write back to say: ‘Thank you – you’ll be next in line.’ Sometimes I say to my wife: ‘Someone wants to marry me, will you divorce me?’ And she says: ‘f**k off’, so I reply: ‘Sorry, my wife said it’s not allowed.’ You’ve got to be honest! What’s your guilty pleasure? When I’m on my own, I sit on the sofa watching Only Fools and Horses or QI – the only two shows I watch – eating a packet of Wotsits and Marmite.